Announced last April, the inaugural Augusta National Women’s Amateur will take place April 3-6. The first two rounds of the tournament will be played at Champions Retreat Golf Club in Evans on Wednesday and Thursday. Friday will serve as a closed practice day at Augusta National, with the final round on Saturday, April 6. The event was created in an effort to inspire an interest and love of the sport among women, as well as highlight some of the best amateur female golfers in the world. Invitations were sent to 72 players, with more than half of those extended outside of the U.S. The final round of the sold out event will be televised on NBC April 6 from noon to 3 p.m. For more information on the tournament and the international field of players visit anwagolf.com. Taking excerpts from letters that go back more than fifty years, Maria Novajosky wrote An Ocean, an Airplane, and Two Countries Full of Kisses. Her book is an introspective journey of how she learned to celebrate her Italian heritage while living and raising a family in the Deep South. With honesty and humor, and fortified with memories of her Italian Nonna (grandmother) and the letters she wrote through the years, Novajosky shares how the hyphen between the words Italian and American became a bridge between espresso and Thanksgiving pumpkin pie, red wine and pit barbecue, the Amalfi Coast and Hilton Head Island, and la dolce vita and life in Georgia. And along the way Novajosky discovers how everything somehow always circles back to Nonna. “Whether Italian-American, Spanish-American, African-American, or Asian-American, we all have stories about the adventure, humor, confusion, and celebration which result from trying to merge different languages and cultures,” Novajosky says in her bio. April 11. Zac Brown Band at at the Evans Towne Center Park. With support from Midland. Show at 6:00 p.m., Doors at 4:30 p.m. Cabana packages available! Access to a private elevated viewing platform cabana, featuring: Premium open bar, Premium Catering, Access to private Cabana-only restrooms, Private event entrance, VIP Valet Parking and Onsite concert host. Visit, www.platinum@cidentertainment.com. April 26. Colton Ballet Presents Strings Attached. Join the Colton Ballet Company and the Augusta Virtuosi under the direction of Adam DePriest for an exciting evening of music and dance. The program offers eclectic choreography with the exhilaration of live music. Choreographer, Andrew Kuharsky opens the program with an Augusta premiere of his work, Progressions, with music by Phillip Glass. His emotionally charged piece, Still Remembered, featuring Samuel Barber’s Adagio for Strings will be performed by Amanda & Morgan Hulen. Peter Powlus will revive three riveting pieces from his larger ballet The Legend of the Hatfields & McCoys, featuring music by Sam Bush. Using the hauntingly beautiful music of Rachmoninoff’s Vocalise, Powlus will also premiere a work called Okaru, featuring vocalist, Calloway Powlus and pianist, David Brown. Augusta native, Caitlin McCormack Phibbs will also debut a new work featuring an old favorite by The Beatles. 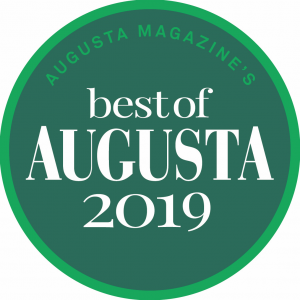 Augusta Virtuosi musicians include Buddy Fiorillo, violin, Haley Kovach, violin, Carl Purdy, viola, Idris Chandler, cello, Barry Garman, Double Bass and David Brown, piano, under the musical direction of Aiken native, Adam DePriest. Visit, www.imperialtheatre.com. The 16-mile long island of Palm Beach has been one of America’s toniest hideaways since the Gilded Age. As if it was placed by gracefulness, Juno Beach sits between Jupiter and West Palm Beach and is home to an unspoiled coastline and blissfully laid-back vibes. Anchored by five championship golf courses, and renowned throughout the world as Home to the PGA Tour’s Honda Classic and the legendary Bear Trap, PGA National also boasts a world-class destination spa, a private state-of-the- art sports & racquet club and an exclusive private membership club where golf is at the heart of it all. Elegant Spanish accents, colonial architecture, lush tropical courtyards, fountains and warm ocean breezes frame this hotel. A historic landmark infused throughout with roaring 20s glamour and boutique intimacy, this private, 80-room enclave is the classic Palm Beach getaway and brings high-style. Some places in Juno Beach are simple, some elegant and others stylish but all of them have one thing in common-a great time. Make sure you save room for the Key lime pie … because all meals must end with Key lime pie. Decorated with colorful mosaics and ocean themes, the Juno Fish House boasts a wide selection of seafood dishes. They prepare their food with a “Floribbean flair,” with local catch prepared, local style and presentation. Check the menu for lobster specials and after enjoy a delightful crème brulee. The attention-grabbing stars here are definitely, “Uncle Eddie’s Pancakes” but be sure to stop in for a guitar-fueled Sunday brunch with local musician, Jordan Lee, entertaining guests live every Sunday. The 18-hole “Seminole” course features 6,787 yards of golf from the longest tees for a par of 72. The course rating is 73.6 and it has a slope rating of 139 on Bermuda grass. Designed by Donald J. Ross, ASGCA, the Seminole golf course opened in 1929. Bob Ford, PGA manages the course as the Director of Golf. This is the main hub of activity in town. On any given day, you’ll see salty fishermen, selfie-snapping sightseers and sunrise aficionados angling for the perfect viewing spot (believe the locals when they say the sunrises here are second to none). There’s even a Pier House with a bait shop, snack bar and pole rentals. With its excellent waves, Juno Beach Park is a popular spot for surfers and kiteboarders as well as swimmers.